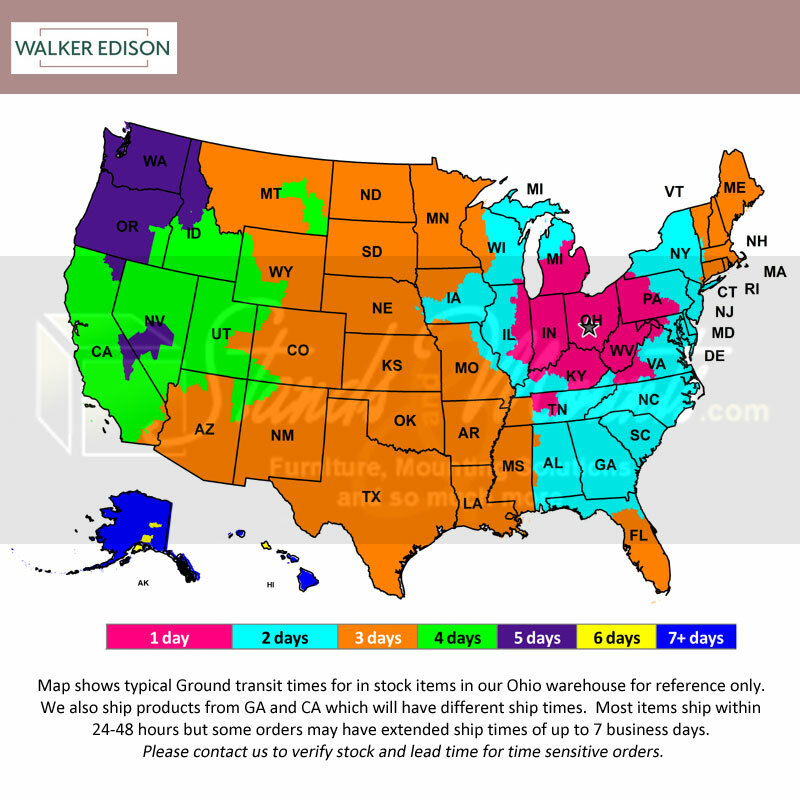 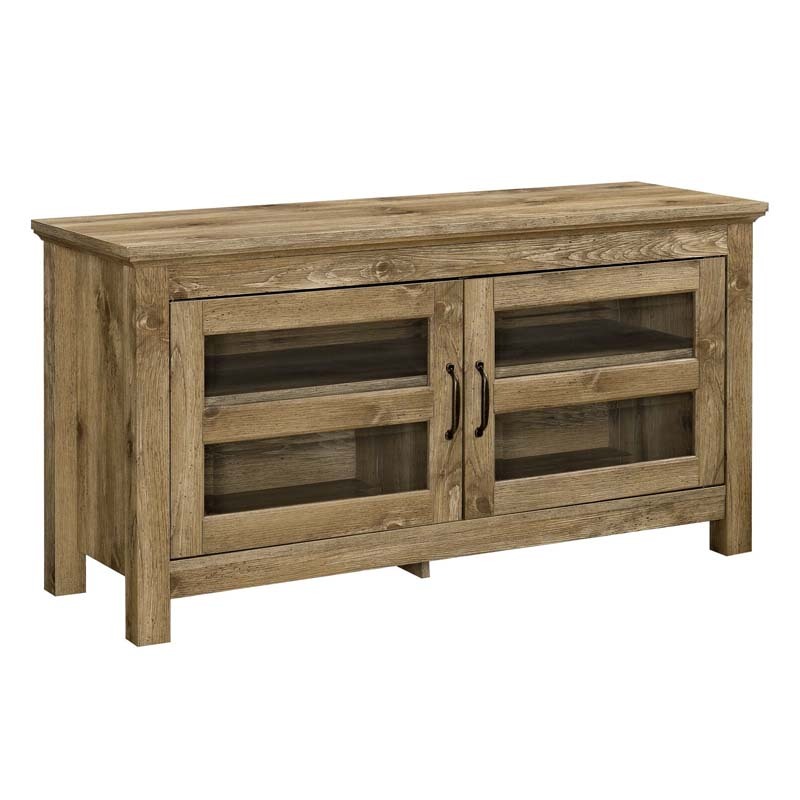 More on the Walker Edison Wood 48 inch TV Console (Barnwood) WQ44CFDBW below. 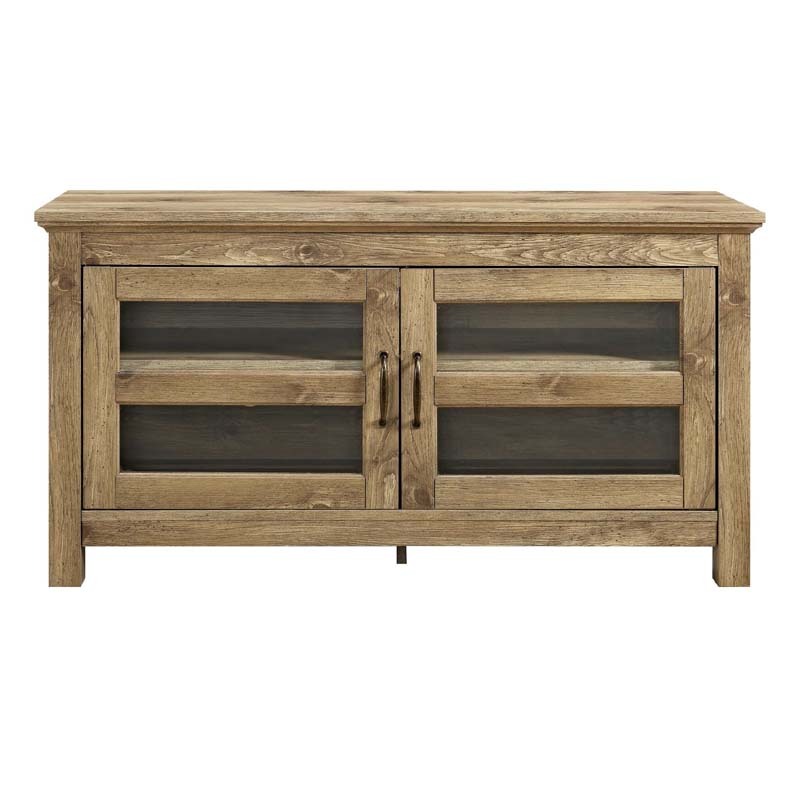 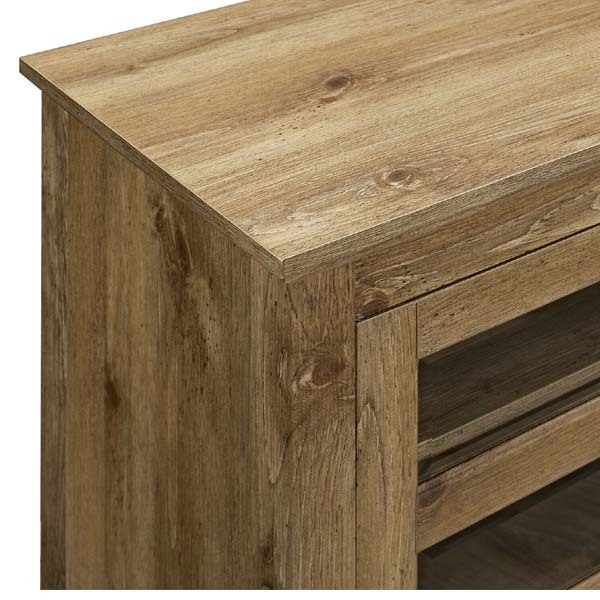 Elegance meets function with this 44" wood media console. 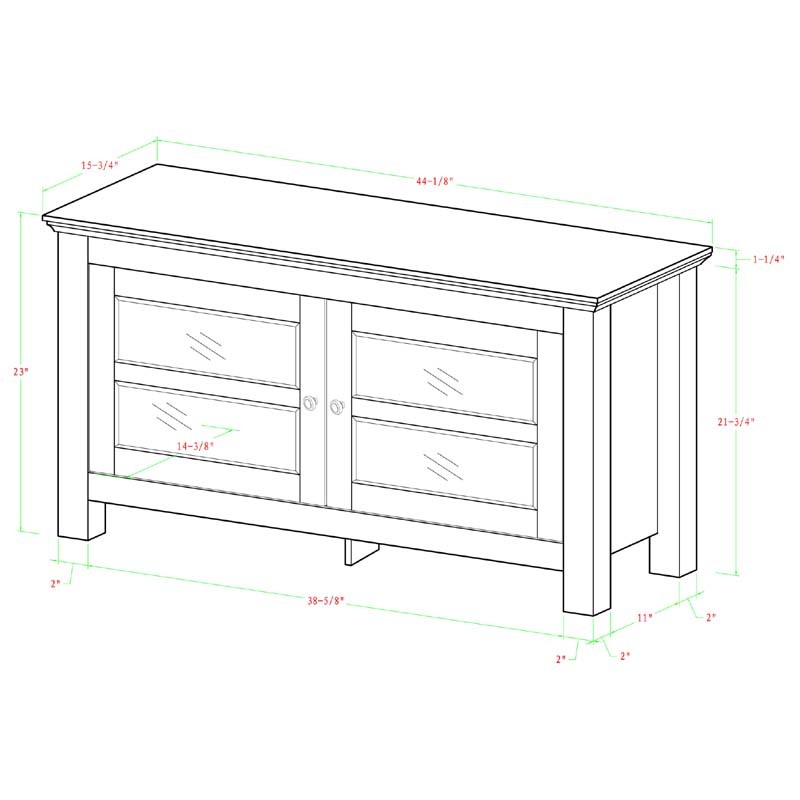 Features ample storage space for your components behind double doors with tempered safety glass panes. 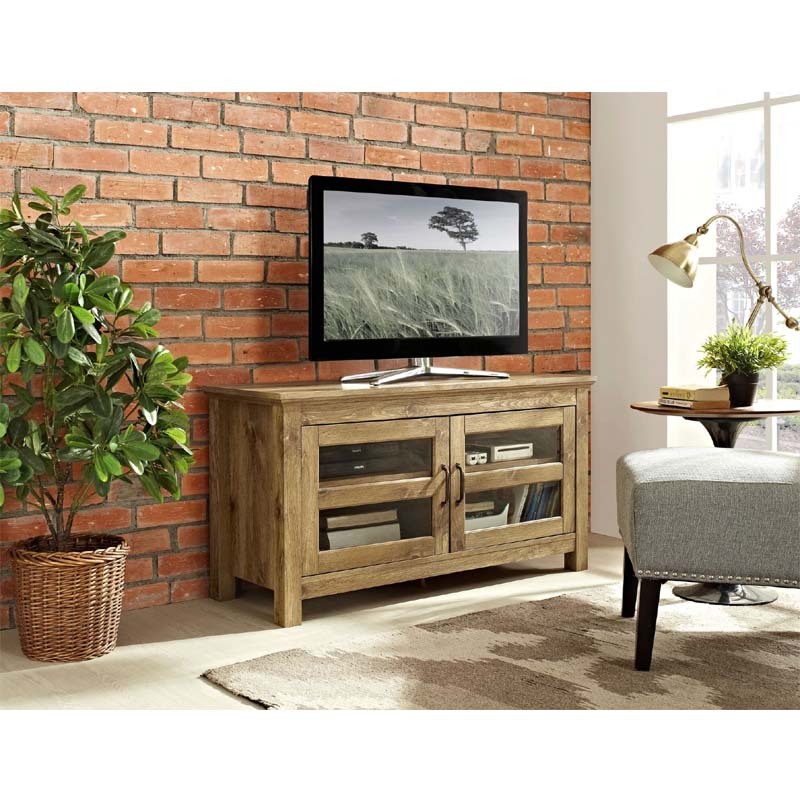 Its cable management system helps you maintain a tidy entertaining space to enjoy your favorite movies and sports games. Supports TVs up to 48 inches made from high-grade MDF with a durable, textured finish to fit your home décor.